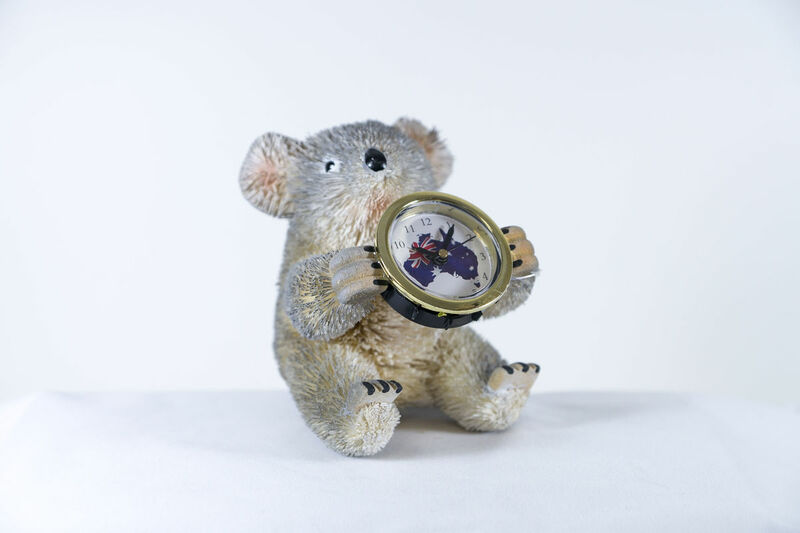 Beautifully hand crafted, hand painted and hand made Aussie Koala Clock. Bring that truly Australian flavour to your home with this gorgeous clock. Made from Buri Palm Fibre, this beautifully designed piece will look great in the lounge, bedroom around the home or of course at the office.